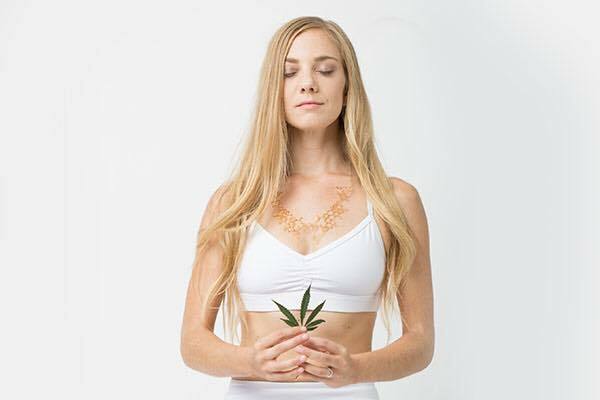 Carlevale describes her system as a blending as well; what she calls a “conscious pairing of regenerative cannabis plant medicine with the practices of yoga, meditation and mindfulness.... Ganjasana, she says, became part of a mission: "to help people build a relationship with the plant medicine." Photo by Tracey Eller for Cosmic Sister. “What is the best piece of advice you can give to others looking to launch a business in the cannabis industry? The use of cannabis is an ancient ritual that has been a part of humanity for at least 10,000 years. Throughout the millennia, cannabis has found a place alongside many other practices due to its medicinal and spiritual benefits. Now that the plant is legal in some form in over half of the states, there is more room to explore its unique properties. One practice making waves for people from all backgrounds is cannabis yoga. More than just an exercise, Ganjasana is a movement that celebrates the cultivation of the plant along with the transformative experiences it can provide when paired with the spiritually and physically powerful practice of yoga. According to the movement’s founder, Rachel Carlevale, this isn’t a new relationship. A: Ganjasana was founded under the principals of modeling nature to build authentic plant relationships—from seed to soil to spirit. It's based off of the Shipibo Shaman plant teachings, and draws from many practices of yoga including pranayama, hatha, nidra, yin, meditation, and mindfulness. Special thanks to Rachael Carlevale @ganjasana for an especially thought-provoking presentation on Cannabis Plant Spirit Medicine! It is important to always take into account how one’s actions will affect the Earth, those around them, and ensuring that everyone receives a fair share. Having a general sense of social learning is also an important aspect of being able to hold space for others. The first step is having self awareness as a result being able to manage oneself. Once you are able to fully show up for yourself you can move into social awareness and then being able to have responsible relationships with others. But the tradition of cannabis and yoga actually goes back centuries, according to Rachael Carlevale, founder of the Colorado-based Ganjasana yoga system. “If we look at the roots of yoga practice you can see that ganja was a part of that,” she says during a telephone interview with The Cannabist. 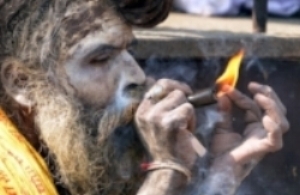 “In India you see the Sadhus (Hindu holy men) sitting in meditation; they are smoking ganja. Another field blazing offering derives from Rachael Carlevale, founder of Ganjasana. Her entry into the cannabis realm was natural following the concept of plant medicine that harkens back to ancient times. She states that she simply reinvigorated this concept and is assisting bringing back this indigenous philosophy to modern times. Ganjasana announced the first ever Ganjasana teacher training program, giving students 100 hours of cannabis plant medicine yoga training. I made up my mind that I would attend, not knowing how I would acquire the cash for it. I considered magnifying my credit card debt but reconsidered. I sat with this far-out idea of attending the training while meeting many wonderful people. I studied the Ganjasana website almost every day. I requested off work more than a month in advance, still remarkably so unsure about how this was going to unfold.